Robert Morris Short Shot Clock to Make Practices Great! 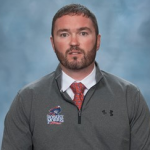 I fell in love with this great Coach on our first podcast with Andrew McMinn, Head Coach Robert Morris. He is a great DI Coach, creative, passionate and originally from a non-traditional area background. As we talked Coach emphasized their use of a “Short Shot Clock.” Actually, perhaps initiated in lacrosse drills for riding and clearing, now it is a part of their practice culture, and I can see the huge benefits. In essence, when the ball goes over the midline, immediately there is a 15-second shot clock to a shot. If you are unable to have a scoreboard clock on the field simply have a coach start a verbal 15-second countdown. I get a lot of emails regarding the slow pains of working on Rides and Clears. Using this creative technique we can speed up the pace, allowing more reps, more engaged players, and a lot more fun. As soon as we clear in the drill past midfield, the countdown begins. At Robert Morris they use the same concept of the Short Shot Clock to work on Face Offs, Coach suggested by adding the Short Shot Clock to the Face Off work, they can average three face offs per minute. Thus in 7-8 minutes, the get in 20-25 face offs. Very Cool eh? Coach was also quick to point out, they still focus on 6V6, they just treat 6V6 as a separate element in practices. Final note, this works even better by adding a competition element to this technique. A stop is a point, and a score is two points, love it! !